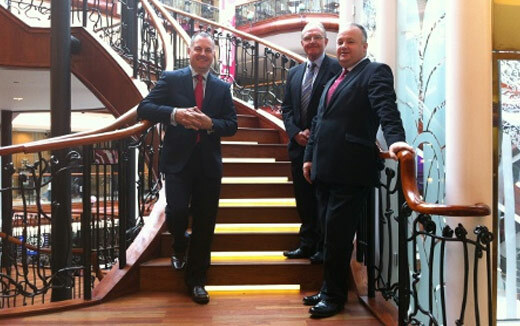 The contract wins continue at Robinson Services with the successful tender of the 3 year contracts to provide early morning cleans, daytime housekeeping, waste management, hygiene services, dust mat rental and consumables for Princes Square Shopping Centre and Guildhall Office Accommodation in Glasgow, and in addition, carpet cleaning and power washing to in Glasgow and waste management to Princes Square. The contracts will provide these services for the premises which are a 100,000sq ft. Shopping Centre and a 7 story office accommodation respectively, and will create fifteen jobs for staff within Robinson Services between them. Pictured is Charles Saveall (Operations Manager, Princes Square Shopping Centre). After a recent competitive tender, Robinson Services have been awarded the hygiene contract for three years for the National Trust sites meaning that Robinson Services are now responsible for the hygiene upkeep at all 21 National Trust sites. This grows the relationship on the back of Linen Hire for the Causeway Coast Hotel and the beautiful Castle Crom in Enniskillen and the contract for Cleaning and Dust Mat Rental at several sites to date. 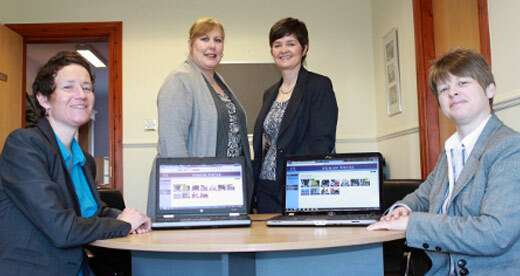 Robinson Services is delighted to announce that two members of staff have been named Finalists for the BICS Cleaner of the Year Awards 2012. Mark Rodgerson, a keyholder and cleaner at Smarts in Holywood, and Andy Heagley, a cleaner, housekeeper and janitor at Waterside Medical Centre have been recognised by the British Institute of Cleaning Science as having the potential to be Cleaner of the Year! More good news at Robinson Services as the major contract for the new Giant’s Causeway Visitor Centre has gained momentum after the official opening of the Centre on the 3rd July 2012. Rising and blending into the landscape, with walls of glass, basalt columns and a state of the art interior designed by award winning architects Heneghan-Peng, the Giant’s Causeway Visitor Centre is truly innovative. The energy efficient building boasts a number of exhibition areas and a grass roof with 360 degree views of the Causeway coastline. 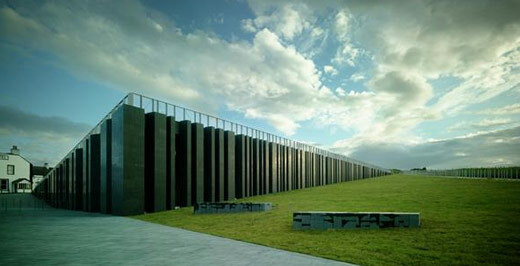 Robinson Services is now responsible for providing cleaning services for the innovatively designed Visitor Centre. 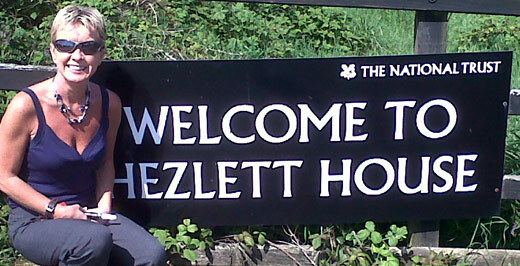 The contract which began back on the 4th June 2012 with staff going through World Host training, Fire and Evacuation training and National Trust Induction to prepare for the opening, has created employment for new staff; some of whom are in every morning for a deep clean. They give all areas a thorough clean including doors, toilets, floors, entrances, and the café floor. There are Housekeeping Staff on duty every day from 10am to 7pm who will ensure the whole site indoors is maintained in a clean and tidy way at all times. Robinson Services staff wear National Trust uniforms as they are expected to be able to answer any customer question just as the National Trust Staff are. This business win reinforces that major organisations such as The National Trust recognises Robinson Services delivers exceptional levels of services, and the additions to an already very impressive client list are further evidence that Robinson Services continues to be a progressive company. Not quite Bohemian Rhapsody…this time it’s the Robinson RAPsody! “It’s a RAP” is an online marketing campaign developed to promote the Pentagon Shopping Centre in Chatham, one of Robinson Services key mainland based clients, and was written by one of Robinson Service’s very own security guards, L. Kilah. This simple two minute viral video became a phenomenon and an instant youtube hit clocking up 18,000 views within a week of going live, and at the recent BCSC Purple Apple Marketing Awards, the marketing video for Pentagon Shopping Centre was the outright winner. To prove that they are not just pretty faces; five drivers at Robinson Services; Nigel Taylor, Martin Christie, Jimmy Fullerton, Stephen McAuley and Derek McPeake have come out top on customer feedback across Robinson Services’ impressive fleet of laundry, work wear and dust mat drivers. The Delivery Drivers were commended and given vouchers as appreciation by David Robinson, Managing Director of Robinson Services. Pictured from left, Martin Christie Distribution Supervisor Jimmy Fullerton, David Robinson, Stephen McAuley & Derek McPeake. Everyone deserves a clean, attractive environment when they visit an ‘away from home’ toilet. 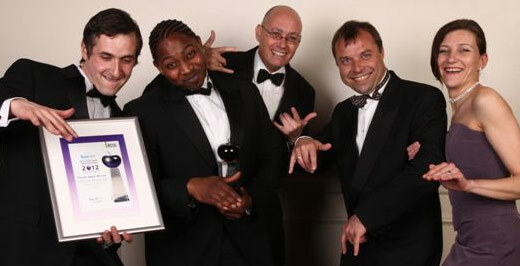 The Loo of the Year Awards’ objective is to encourage the highest possible standard in all types of ‘away from home’ or public toilets and Robinson Services are committed to implementing these high standards throughout all the premises where they provide support services to washrooms. 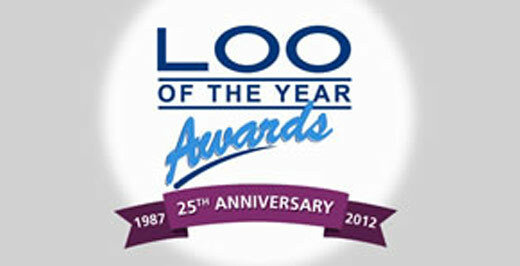 For further information on The Loo of the Year Awards visit www.loo.co.uk and we wish you every success in this opportunity to win this recognised award in 2012. “These training modules are excellent sources of training. They are visual and auditory lasting a maximum of 30 minutes per session which enables them to capture the trainees attention for the length of the session. At the end of the session trainees are tested on what they have learned. This training is now being implemented at all sites; for all manner of staff, including security operatives, housekeepers and maintenance staff. The courses are all available online to all staff- are very visual and make the trainee think harder with a short test at the end of it proving that they have actually learned something. It provides an accredited certificate at the end and also it saves time in that staff and managers have access to this on site or on their own time. A significant additional benefit is that Shauna O’Boyle, our H& S and Training Manager can manage the overall Company Training programme more effectively as she does not have to spend as much time travelling to different sites to deliver this. Both the employee and the client will benefit from this training and we are going to continue to invest in this successful initiative.